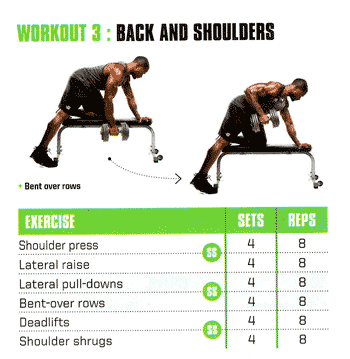 The Vin Diesel workout uses supersets to get things done the way you’d expect–Fast & Furious. 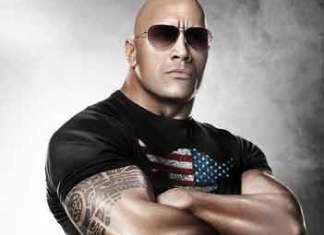 To get in shape for his roles, including the recent Fast & Furious 7, Diesel focuses on one body part per day. 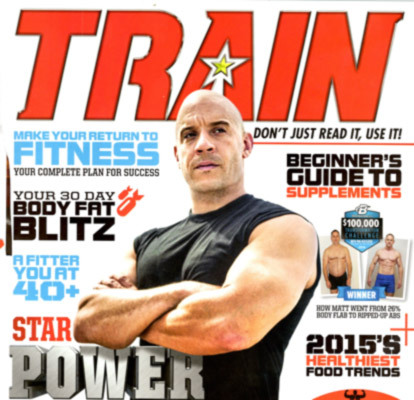 In a recent interview with Train Magazine, Vin Diesel shared his workout routine. Vin Diesel usually plays the tough guy role. This includes The Fast and the Furious, where he plays Dominic Toretto. It’s also true of his role as the star in The Chronicles of Riddick. For these movie roles, Vin Diesel wants to be muscular, but agility is also important. Vin Diesel wants to show off that he’s tough enough to stand up to any villain. Yet, he understands the importance of dodging a punch or having to dash away in a flash. The Vin Diesel workout gives him the physique he needs to create the tense drama and great action scenes in his movies. The Vin Diesel workout routine comes from his recent interview with Bodybuilding’s Train Magazine. Diesel’s routine is based on bodybuilding workouts he has used since before he started acting. when i was younger, I was trying to gain as much weight as possible. Now, I focus on each body part and define it. I trained the bodybuilding way for over a decade before I was an actor. For the chest workout, Vin Diesel uses supersets. This means you do 2 exercises back-to-back, without rest. Then, rest for 1 minute, before repeating that superset. If he has time, Vin Diesel adds abs/core to this workout. Vin did not provide his specific abs routine. So, you would have to improvise. Generally I want the character – especially characters like Dominic toretto and Riddick – to not just look built. I don’t want them to look boxy. I want to be agile, and i want them to look like they can handle a wide range of opponents. For the triceps workout, Vin Diesel uses supersets. This means you do 2 exercises back-to-back, without rest. Then, rest for 1 minute, before repeating that superset. 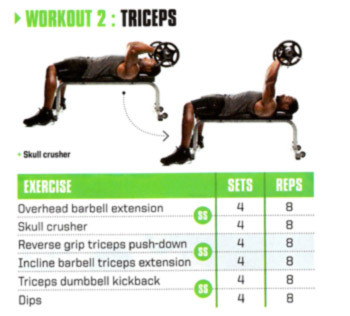 For biceps: Hammers, bicep Curls, barbell curls, preacher curls. For the back and shoulders workout, Vin Diesel uses supersets. This means you do 2 exercises back-to-back without rest. Then, rest for 1 minute, before repeating that superset. For the legs workout, Vin Diesel uses supersets. This means you do 2 exercises back-to-back without rest. Then, rest for 1 minute. 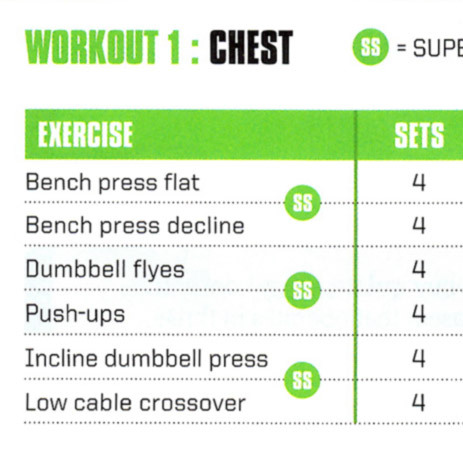 Repeat that superset until you’ve completed all 4 sets. I try to switch things up every so often and shock my body. But, it’s your typical muscle-mass building moves that have been done for decades. Vin Diesel is 6 ft tall (1.82m). He weighs 224 pounds (102 kg). Vin Diesel, or Mark Sinclair if you prefer his real name, is dating to Paloma Jimenez. They have 2 kids. The Vin Diesel bodybuilding plan has changed over the years. Around the time of Fast Five, Vin Diesel decided to add yoga, Pilates and jiu-jitsu routines to his workouts. Vin noticed that this has given him more control over his body. My weight training regime and fitness regime in general is very much different now to what it was a few years ago. I still do the old-school meat and potatoes, muscle-building moves, but now I’ve added more core-based and cardio based stuff – even yoga and Pilates. In action scenes, he is able to maneuver more genuinely. Working out with bodybuilding routines since before he was even an actor, the switch to yoga and Pilates was difficult at first. But, he’s now reaping the rewards of a more limber body. Vin Diesel started doing jiu-jitsu training for Furious 7. The reason he chose to do so is because that was the martial arts discipline of the late Paul Walker. Vin Diesel worked with Paul Walker’s former trainer, Ricardo Miller. I did a lot of jiu-jitsu for Furious 7. Really it was for what I believe is the best fight sequence in the whole Fast and furious saga. I worked with Paul walker’s jiu-jitsu teacher…he knew how important it is for Furious 7 to be the best film it can be to honor my brother Paul walker–So we worked real hard. The jiu-jitsu training for Fast & Furious 7 included a lot of pad work, agility training, and combat sequences. To get in shape, the Vin Diesel diet helped complement his workout. Here are some Vin Diesel workout videos & clips: (the first and second videos are Brazilian jiu-jitsu training by Vin Diesel and Tony Jaa for Furious 7. The 3rd video shows the equipment Vin Diesel used to work out in 2012. The last is the first official trailer for The Fast and the Furious 7). Like what you see? Know anyone who would like to see Vin Diesel’s workout for The Fast and the Furious? Good idea. I’ll take a look into it. All I know, so far, is that jiu-jitsu was his favorite martial art. Any idea what the actual weight is he uses in each of these exercises? No, he didn't say. Use a weight that's right for you, where you go close to failure on the last rep of each set. Go heavy, and rest 2 minutes between each set for max gains.